With cloud storage being globally adopted by knowledge professionals, small businesses and enterprises, CloudFuze believes file sharing can be simplified. With its suite of apps, CloudFuze offers cloud storage users an enhanced set of possibilities for sharing, distributing and collaborating on cloud-stored content.  The CloudFuze Cloud File Sharing feature offers an easy way to share files via easy integration to cloud storage services. No more attaching files!Easily send large files! Gain security! Share file with email Send personalized message delivered via email with a shared file instead of sending an email with attachment. You can share files to multiples contacts at once and if you set up a CloudFuze workspace, you can share the file across the group. Public/private share With CloudFuze you can share files with people who do not have a CloudFuze account using a public file share. For non-confidential file sharing, this “public” share also creates a link that can easily be forwarded and used by anyone who receives the link. When more security and file access control is required, a “private” share can be used. This more secure method of sharing and distributing files allows file access only by the intended recipient(s) as defined by the email addresses with whom you share the file. The CloudFuze workspace can also be used to share files in a controlled way. Share file with password CloudFuzealso offers another level of security by enabling password protected sharing of files. CloudFuze users can set a password for a particular file and send that password to the file recipient through another channel. Share with limited download count CloudFuze also allows you to set a download limit for a file such that it can only be downloaded a certain number of times before it cannot be downloaded any more. Share with expiration date You can set an expiration date for a file share that puts an end date to the accessibility of a file shared using CloudFuze. Version control for a shared file You can view a detailed log for file versions by last edit date, user,etc. This makes it easy to identify the latest version of a file and/or who has made edits to which version of a file. View all shared files From the main file screen in CloudFuze, you can see which files you have shared with others or which files have been shared by others with you. You can even sort these files by date, name, cloud storage service etc. Using CloudFuze, you can access and manage all of your files and content across all leading storage services from a single dashboard. And from this dashboard, you gain a broad set of rich capabilities for sharing and distributing files to others. The numerous controls and options built into the CloudFuze apps surpass the outdated process of attaching files to emails. Start using CloudFuze now to leverage cutting edge file sharing and distribution capabilities and greatly increase your productivity.